College students are used to the idea of living on a budget, but acting out the life of a low-income West Michigan family adds a new dimension to their perception of poverty. Local students Jamie Denney, Melissa Toddy, and Jacob Wieling attended a poverty simulation workshop put on by Access of West Michigan and hosted by Davenport University in the first week of November. 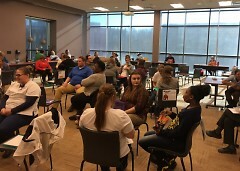 The simulations are known for their unique approach to poverty education that allows participants to act out situations faced by many low-income families. All three students were required to attend for one of their classes, but they walked away with more than a typical lecture experience. 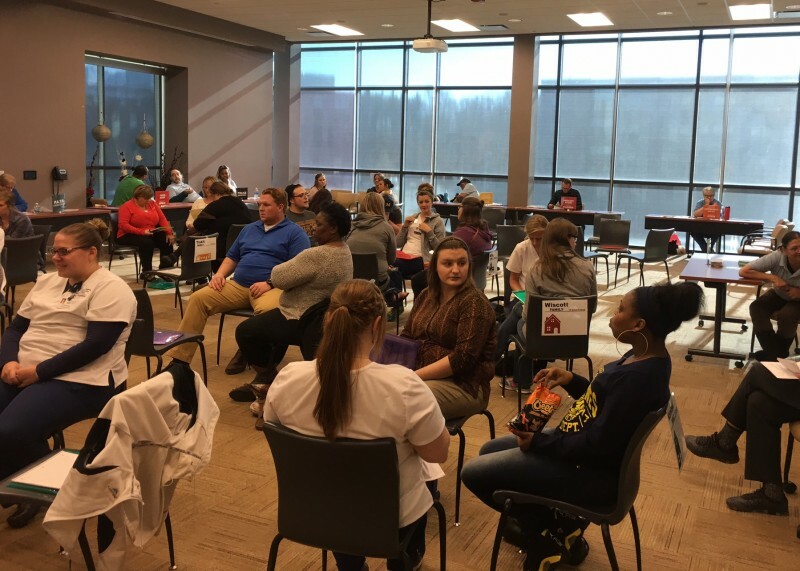 “This simulation will not be relaxing or easy today, because poverty is not relaxing or easy,” said Poverty Simulation Director Brenda Nichols at the beginning of the event. Denney, Toddy, and Wieling assumed the identity of the “Rogers Family,” comprised of a single mother raising her children on her own. Toddy, a business management and culinary arts student at Davenport, played the role of Mrs. Rogers. She struggled to care for her family due to inadequate income and ‘life happens’ interferences—sickness, unpaid bills, boisterous children, and not enough food in the house. “It didn’t even occur to me,” said Toddy in response to Nichols’ questions. 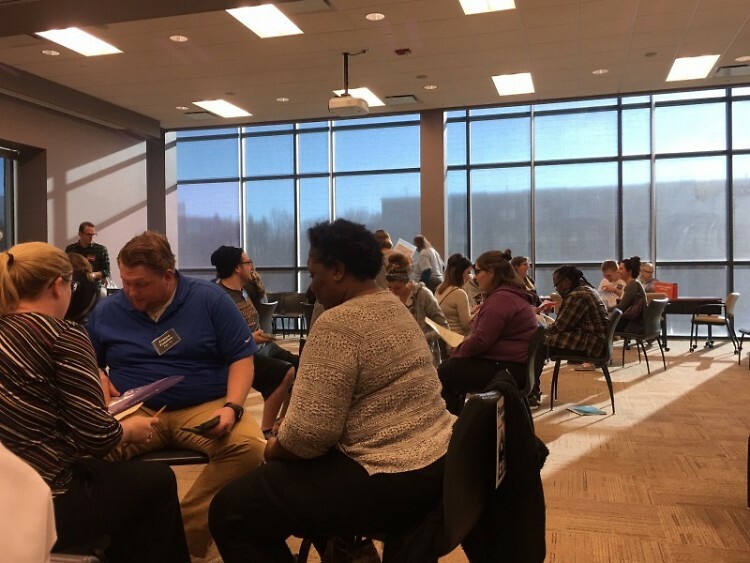 More than learning how to navigate the system, participants get a real understanding for how the pressures of poverty keep families from connecting with one another. In the midst of anxious hurrying to run errands and make ends meet, the family unit suffers. Wieling, a computer information technology student at GRCC, played Mrs. Rogers’ 17-year-old son. After an unsuccessful attempt at finding a job—he was deemed too young by local employers—Wieling’s character felt pressured to engage in illegal activity to help provide for his mom and younger siblings. Denney is a nursing student at GRCC who played the role of 9-year-old Roland Rogers. Denney explained that she learned how much low-income families are forced to “make do with what they have,” even in situations where what they have is not enough. The Rogers family had the most trouble with keeping the house stocked with food throughout the simulation. For many families, their paycheck goes first to the utility bills, rent, and healthcare—using whatever is left to buy groceries. The problem is that “whatever is left” is often not enough. Stations available to simulation participants include a local food pantry, grocery store, and Department of Health and Human Services office. However, each trip to a resource costs a transportation ticket as well as valuable time that is not spent working or catching up as a family. 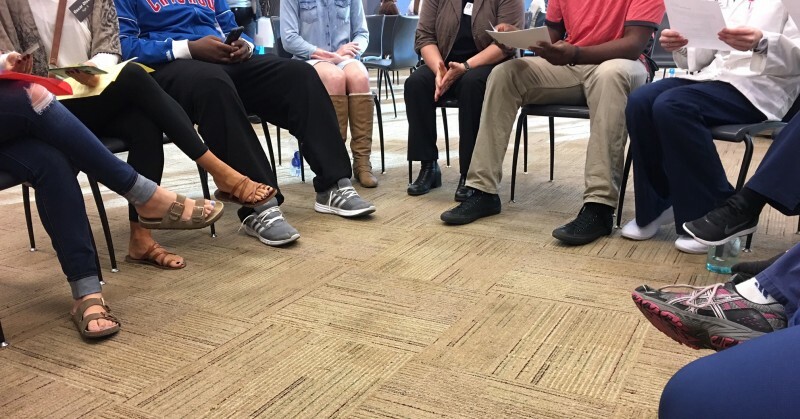 Shull is a big supporter of the poverty simulations, and over her ten years of involvement with the program she has seen many students gain a new understand of poverty through it.